Our best Ac maintenance team are performed by professionally qualified, our team has the experience, skills and all the upgrade tools that are needed for the maintenance. If you are looking for the best Ac maintenance then you are in the right place where you can come up with the solution to your problem. 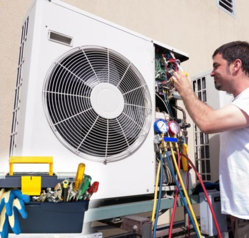 Ac Repairs Dubai is the place where you can find the solution of every kind. We can give it to you in writing that our service gives the complete peace of mind. Our technicians are so much qualified and expert. They are with us for many years and together we made a big process. We also provide our services in all the commercial and residential places in Dubai.you can easily reach us. we are providing professional AC repair services includes : ac duct cleaning, ac servicing, ac fuse repair, ac compressor replacement, ac installation, ac vent cleaning, ac gas charging, ac thermostats repair, ac cooling adjustments in whole Dubai Jumeirah, Marina, Palm JBR, JLT, Al Barsha, Mirdif, meadows, springs, arabian ranches, al warqa and many more. 16th Street, AL Karama, Dubai, UAE.